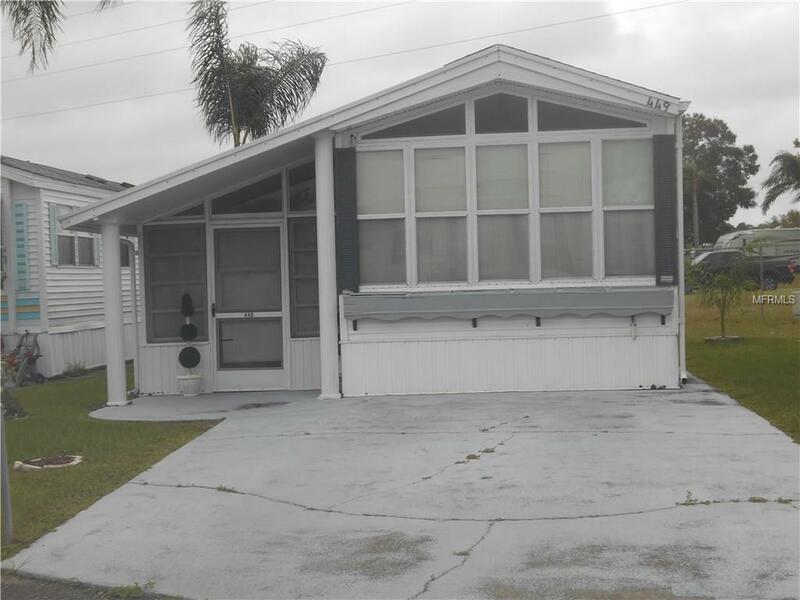 Attractive home with Florida Room addition and no close rear neighbors. Nicely furnished and well cared for. It offers a nice eat-in kitchen, a shower, a sleeper sofa, and a nice size bedroom with lots of storage. ORO is a gated lakefront community and features two large heated pools, one heated kiddie pool, children's playground, lighted tennis courts, pickle ball, shuffleboard, par 3 golf course, mini golf fun site, volley ball court, basketball court, bocce ball and horseshoes. There are facilities for all water sports, including a boat ramp. Bring your boat or jet ski and enjoy water skiing and fishing. The clubhouse has a library, lounge where you can play cards or relax, and a large auditorium for community events. The HOA fees at $490/qtr ($164/mo) cover water/sewer/basic cable/trash/lawn mowing.